INDEPENDENCE, Ky. -- "All the EMTs and the officers that we saw said, 'You should be dead...'"
Collin Tolbert said he thought the same thing. 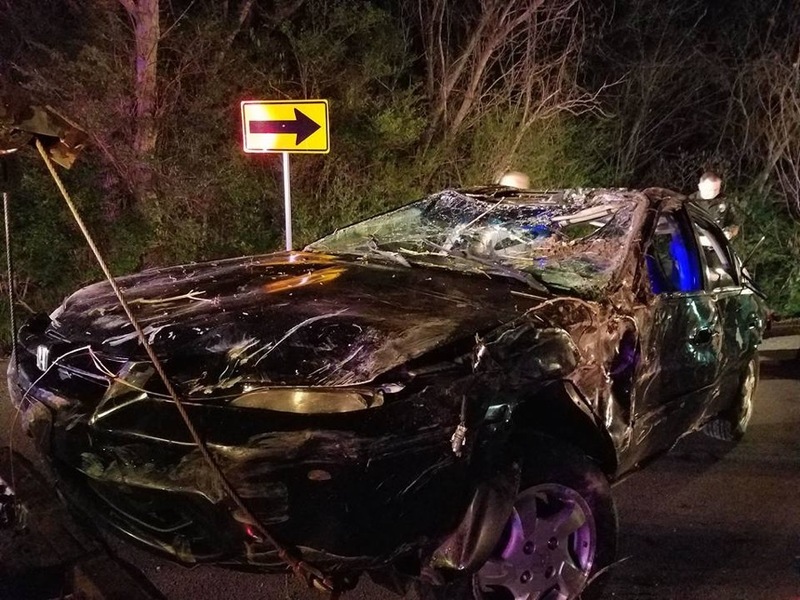 The 17-year-old admits he was driving too fast down Green Road. He and a buddy were headed to another friend's house Saturday night, and he'd taken a route he'd not used before. Like other windy back roads in Northern Kentucky, Green Road can be tricky. When Tolbert came to a curve, he knew he couldn't make it. "I started putting on my brakes, but it was just too late," he recalled Monday. "So I told my buddy, I said, 'Brace yourself' because I was afraid for my life -- wasn't sure I was going to make it out. My front left bumper hit the guard(rail), and when that happened, my whole entire car just started flying up. And right when it was about eye level to the ground, I could see the ground and thought 'I'm probably going to die.'" 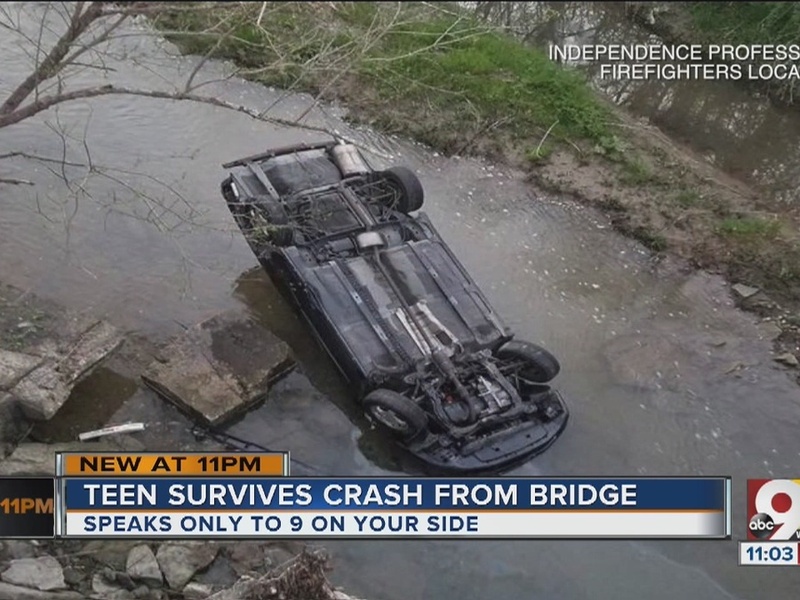 The Honda Accord he was driving crashed off a bridge and ended up on its roof in Cruises Creek. "I sat there for a second and was kind of stunned that I didn't feel hurt or anything," Tolbert said. "I was upside down in the car, landed on the roof, so I just unbuckled myself. My buddy was like, 'I'm stuck, I can't move,' so I pushed him up, unbuckled his seatbelt, and we both crawled out." The teens made their way back up to the road; somebody pulled off to help. Tolbert escaped with a few small scrapes to his hand; he said he doesn't even have bruises from his seat belt or a concussion. His friend was OK, too. "It makes me think a lot about why I'm here," he said. "I'm a firm believer in God, and I know that there's no other way that I'd be alive if he wasn't there protecting me." As for the other thing police and EMTs told him? He'll have to wait a few years. "All the EMTs and the officers that we saw said, 'You should be dead.' And the second thing they said, 'You need to play the lottery.'"